Millenium Broadcast Consoles are a superb value. Thousands of RS Series Consoles have been sold since they were introduced 15 years ago, and today the Millenium Series carries on this tradition with enhanced capabilities and dramatic new styling. 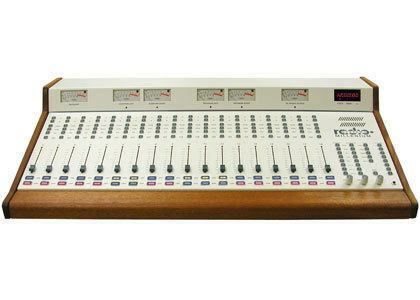 Take a hard look at Millenium broadcast consolesRS-18a 18-Channel Analog Console. .They offer a dazzling combination of superb specifications, sleek modern styling and a wide range of features all at unexpectedly low prices!